The Beatles perform on the CBS "Ed Sullivan Show" in New York. 26th October 1965. 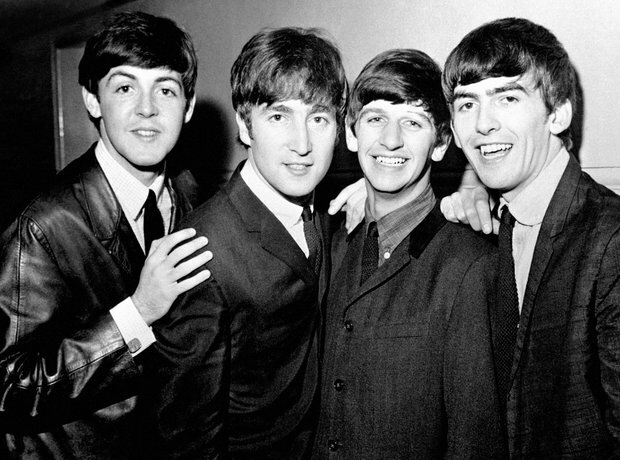 The Beatles received MBEs from The Queen at Buckingham Palace. Sergeant Pepper's Lonely Hearts Club Band - possibly the most recognised album cover ever? How it all ended. The Beatles performing their last live public concert on the rooftop of the Apple Organisation building, Savile Row, London, for director Michael Lindsey-Hogg's film documentary, 'Let It Be'.